Obamacare Pushed Nonprofit Hospitals To Do Good Beyond Their Walls. Now What? 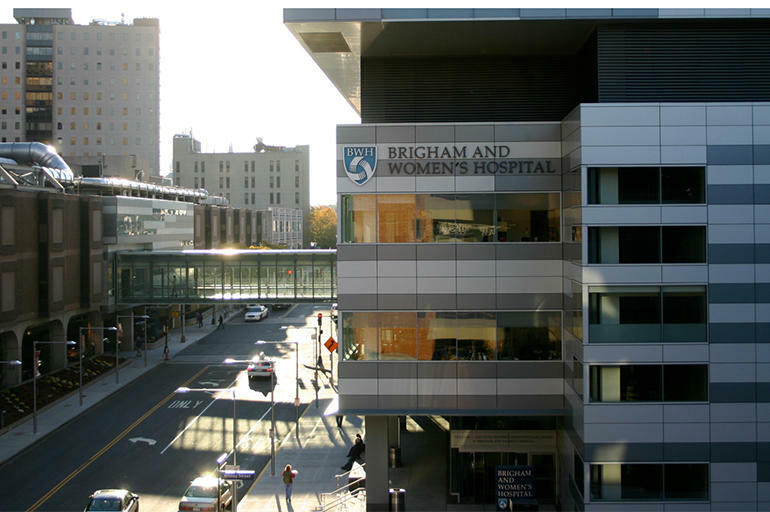 The Affordable Care Act's “community health needs assessment” boosted the profile of a violence prevention program at Brigham and Women’s Hospital. For the past six years, Mardi Chadwick has run a violence prevention program at Boston’s Brigham and Women’s Hospital. The program’s goal is to address broader, community-based health issues and social problems that make people ill or prone to repeated injury from gunshots, stabbings or environmental causes. In Chadwick’s view, this endeavor — almost from its inception — made a big difference in nearby neighborhoods. But its profile in the eyes of hospital administrators got a boost from an Affordable Care Act provision that required nonprofit hospitals to conduct triennial assessments of local health needs and devise strategies, updated yearly, to address them. Falling short would trigger a financial penalty. But will programs like this one continue to get such attention? As the GOP-controlled Congress works to scrap Obamacare, the answer is uncertain. Requiring this “community health needs assessment” was part of a broader package of rules included in the health law to ensure that nonprofit hospitals justify the tax exemption they receive. Another directive was that these facilities establish public, written policies about financial assistance available for medically necessary and emergency care and that they comply with limits on what patients who qualify for the aid can be charged. These requirements add to the ongoing controversy about whether all nonprofit hospitals do enough to deserve a tax break. People on one side of the issue view the assessment rule, for instance, as an undue, unfunded burden while others say it doesn’t do enough. So far, though, the community health assessment requirement hasn’t exactly been a hot topic in the repeal-and-replace debate and was not addressed by the House Republicans’ health plan unveiled March 6. Sen. Chuck Grassley (R-Iowa), who has long urged that more scrutiny be applied to nonprofit hospitals’ tax status, championed the provision. His spokeswoman said he will continue to advocate that it remains in effect in whatever new health policy plans emerge. Regardless, the financial uncertainty of any overhaul of the health law could undermine some hospitals’ efforts. The decades-old nonprofit tax status, granted by the Internal Revenue Service to institutions that meet the “community benefit” standard, spares hospitals from paying federal taxes and is collectively worth billions of dollars. Nonprofit hospitals have generally cited the uncompensated or “charity” care they provide, as well as initiatives they undertake to promote public health, as sufficient proof that they earn their tax exemption. But for-profit hospitals, which do pay taxes, cry foul, saying they make similar contributions. The new requirements overall were meant to hold nonprofits to a higher standard — and penalize those that didn’t deliver. Under the law, hospitals that fail to complete the assessment and implementation strategy face a $50,000 fine — which can seem small next to their overall operating budgets. But down the line, the penalties can accumulate and ultimately could jeopardize their valuable tax exemption. Meanwhile, federal data show that as recently as 2011 nonprofit hospitals targeted less than 10 percent of their operating expenses to benefit the community — this includes charity care, unreimbursed costs from Medicaid and other government programs and medical research and education. Less than 1 percent went to community health improvement services like Chadwick’s. Advocates hoped the health law would change this. The idea was to push nonprofit hospitals to invest more in public health initiatives that do not directly earn them money — giving such programs more value on the balance sheet. But it’s hard to gauge whether that’s happened. Part of the problem, analysts say, is that the underlying idea — reaching into the community to help people navigate the social and economic factors that can influence health — goes beyond what hospitals have traditionally viewed as their mission. Despite the potential for long-term payoff, administrators tend to focus on the immediate questions: How many beds are full? What medical services are being provided? How are they doing with their operating budget? “It’s a new world out there in terms of the hospital not being the center of the universe,” said Lawrence Massa, president of the Minnesota Hospital Association, the state’s hospital trade group, which has been tracking hospital response to the health assessment requirement. Initially, they found the money nonprofit hospitals put toward “community needs” went up after the assessment requirement: from about $355 million in 2011 to $459 million in 2013, according to an analysis by the association. (The needs assessment requirement took effect in between, for the tax year starting after March 2012.) But the increase leveled off in 2014 — the most recent year for which data are available. With continued time and sustained emphasis, that could have changed, said Sara Rosenbaum, a professor of health law and policy at George Washington University. But now? Even if the community benefit requirements remain intact, she and others fear this accountability effort could take a hit. Repeal of the health care law is likely to create fresh financial challenges for hospitals. For instance, although the House GOP’s American Health Care Act would restore some of the uncompensated-care funding cuts hospitals absorbed under the ACA, the coverage changes proposed in Republicans’ plan could mean tens of millions more uninsured people. That scenario, policy experts and trade groups say, would increase the amount of free care nonprofit hospitals provide, creating new budget pressures that could lead them to tamp down on efforts to promote community health work. “We could be right back in a situation where there is a fair amount of charity care, and that could become a large component of how hospitals are justifying their nonprofit status,” said Ken Fawcett, a physician who runs a community health worker initiative at Spectrum Health in Grand Rapids, Mich. Meanwhile, the health assessment’s impact has been evident at Boston-based Massachusetts General Hospital. There, administrators used it to devise an intervention strategy around drug abuse — partnering, for instance, with local schools and community organizations, and hiring former addicts to help patients navigate recovery. “There’s no question the Affordable Care Act required us to bump up our game,” said Joan Quinlan, its vice president for community health. If people lose coverage, she added, hospitals will increasingly argue that’s enough reason for a tax break. It could stifle efforts to promote more substantial community benefit.